It sounds like the setup to a bad aviation joke: What do an F-16 and a Cirrus have in common? Let me think: One shoots and the other chutes? Except, in this case, the real punch line isn’t funny. It’s tragic. 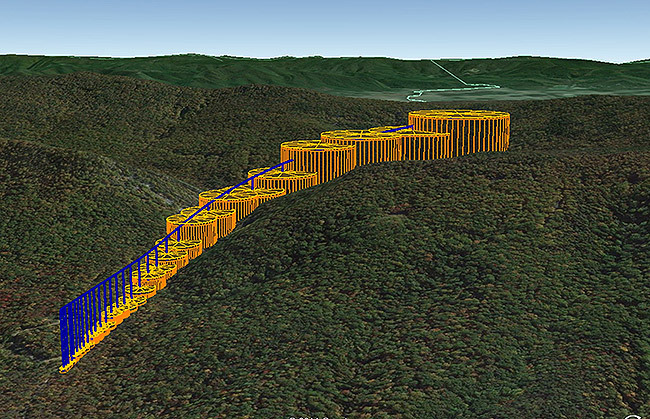 The answer is that, in both cases, a leading cause of fatalities is controlled flight into terrain (CFIT). That’s the name for accidents in which there’s nothing at all wrong with the aircraft, yet the pilot finds a way to fly into the ground. Such loss of control and awareness might be set up by weather, night conditions, an unusual flight attitude—and the tragedy can unfold quickly or slowly. 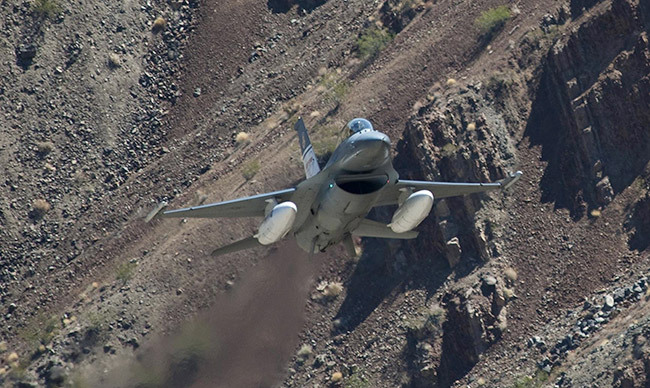 Say you’re an F-16 jet jockey, screaming along a high desert canyon on a low-altitude bombing run. Get just a little too close, and your massive thrust and turn radius turn against you, overpowering your maneuvering abilities. Or, you’re a backcountry flier skimming some spectacular Idaho ridges and valleys until a downdraft mountain wave makes that wall ahead just a little higher than you can climb. Who knows all the reasons why otherwise good pilots get rocks in their brains, followed by rocks through the windshield? Whatever the cause, these accidents are particularly frustrating as a category of carnage that should be almost entirely preventable. Which brings us back to the original question of what general aviation and military fighters have in common. 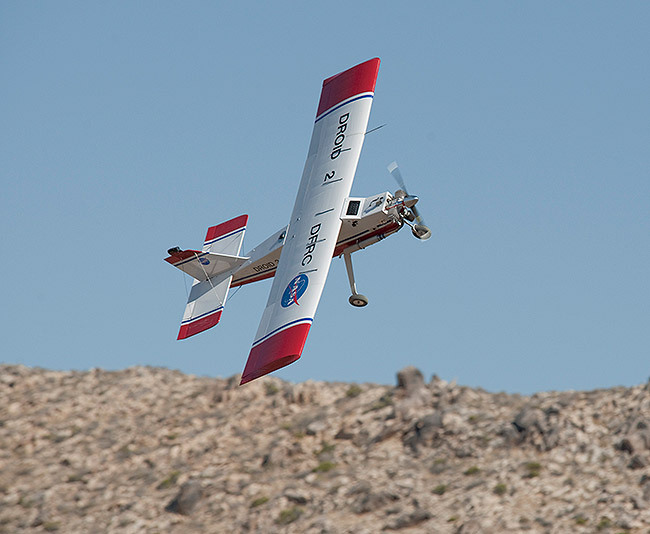 If the researchers at NASA Armstrong Flight Research Center, near Lancaster, California, succeed, military and civilian aircraft may soon share a technological approach that significantly reduces CFIT accidents. For those of us who don’t have the pocketbook for an F-16, the proposed solution is called iGCAS, which stands for Improved Ground Collision Avoidance System. And it may find its way to market in as humble a form as a smartphone app. We’ll get to the details of that general aviation application in a moment. To understand the approach, though, let’s start with the fighter jocks and a little history. As far back as the 1980s, researchers began studying how to keep Air Force pilots from slamming their jets into the ground in the heat of battle. Mark Skoog, NASA’s project leader for the iGCAS project, says CFIT had persisted as the second-largest cause of F-16 fatalities despite the planes having as many as six separate terrain warning systems installed. Because pilots were pressing as close to the ground as possible and terrain data was fuzzy, at best, previous systems tended to issue false alarms in conditions where the plane could still be safely flown. “After the system issued the first or second false warnings, the pilots turned the system off or tuned it out,” says Skoog. Then, when things got dire and it did warn them, the pilots didn’t react in time. algorithm that uses very fine-resolution data in bumpy areas of the map and lower quality for terrain in, say, the plains of Kansas. It’s equivalent to the JPEG format that keeps images small on the Internet, and it reduced file sizes by a factor of 2,000 to 8,000 times. Now, the engineers had useful terrain in a usable size. Combined knowledge of the aircraft’s capabilities and maneuvering, they could wait until the very last moment to trigger an alert, avoiding those false alarms. In an F-16, however, that’s much too late for a human to understand and execute a recovery. So, they had to convince pilots to allow the system to take control away just long enough—one second or less, in most cases—in order to vector the plane away from harm’s way. For evaluation, collision avoidance runs were flown against a singular area that would be classified as hilly to mountainous terrain. This is a collision avoidance test of the iGCAS in a Cirrus SR22. The harder challenge was convincing the brass on the ground. “All the flight control folks said, ‘Do you realize what you’re saying? No one has ever done this before,’” Skoog relates. Once testing began, though, the results wowed even the skeptics. In 2010, the first year of in-the-field use, the automated recovery system recorded three aircraft saves, including one just weeks after it had been installed, during a nighttime bombing run against Islamic State forces. A fatality there could have been devastating politically, as well as in loss of life and aircraft. The ground collision avoidance system has worked so seamlessly that “in the cases where we have had saves, most often the pilot doesn’t even realize that he wasn’t the one flying it,” says Skoog. That’s not going to help your typical Sunday backcountry fliers, though. They’re not likely flying an aircraft with a sophisticated digital autopilot capable of seizing control of the flight path. Heck, they probably use basic, steam-gauge avionics and would think hard before spending big money for a save-your-bacon technology that only helps just one pilot among thousands. At its simplest, that same database warning system can be loaded onto a smartphone or tablet. When it detects imminent danger, the application gives aural and visual guidance to avert a date with dirt. To illustrate the point, Skoog and his NASA colleagues demonstrate their smartphone-installed iGCAS on a simulator with Cirrus SR22 avionics. First, we fly a scenario in the black of night. The instructions are to hold heading and altitude until further notice. 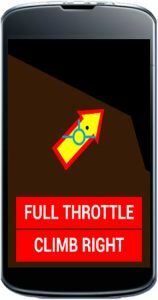 Suddenly, the phone screen lights up with three green arrows: Trouble ahead, it signals, with potential recovery from climbs left, right or straight ahead. As we press on, the right arrow turns yellow and then is replaced with a red “X”. The same thing happens a moment later to the straight arrow. 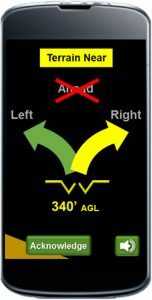 With just one option left, the phone becomes a poor man’s flight director, guiding us through a climbing left turn. It’s sort of a modified chandelle, pitching to best rate of climb and rolling the wings 30 degrees as we clear the obstacle. Following the system’s prompts to stay alive is simple and intuitive. Now, we fly the same path again in clear daylight. Holy cow, those ridges are close. As our options narrow, it looks like there’s no way out. 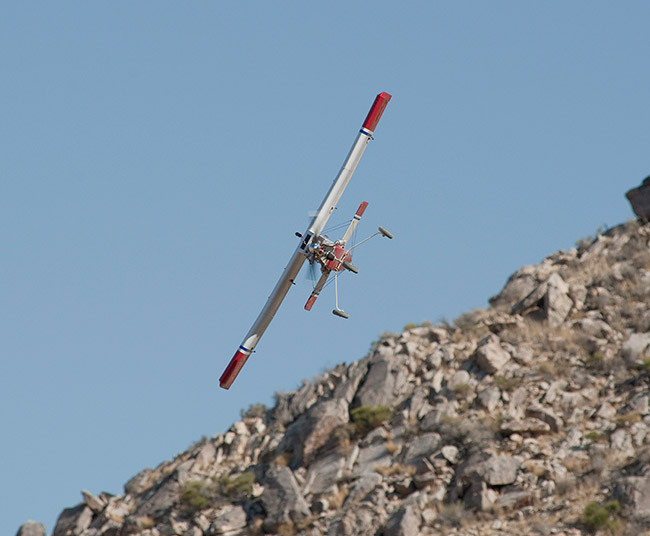 Without iGCAS, we stall the plane in a frantic effort to climb straight ahead—unaware of the path to safety that lies around the corner to the left, hidden just beyond our line of sight. Even with a warning-only system that doesn’t take control and automatically recover from danger, Skoog says there’s about a 50% improvement in accident rates. Still, I’m sold. currently being offered to commercial vendors for licensing. It’s likely to be featured in many different types of installations. Because the software is built modularly, it can work on a standalone basis on a phone or tablet. Just select your aircraft’s performance profile, and you’re good to go using the mobile device’s built-in GPS and accelerometer. 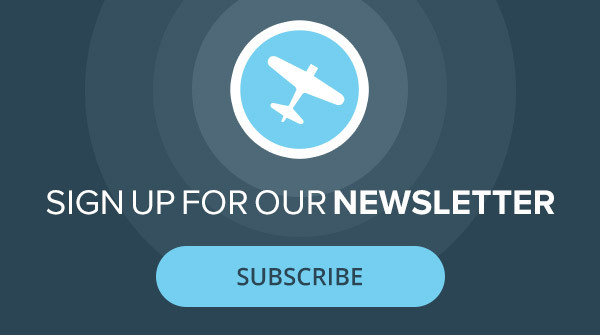 Connect with external sensors, for instance, the Stratus GPS devices that power Synthetic Vision on ForeFlight apps, and you get better guidance. Maybe even some real-world wind or air density data to dial things in further. And, of course, integrated into an avionics panel with a digital autopilot, it’s possible that iGCAS soon could auto-fly a plane away from terrain in much the same way as an F-16, albeit a bit more slowly. At that point, what will an F-16 and a Cirrus have in common? Let’s start with this: They’ll both be smart enough to keep their pilots alive.